Moscow is not only stopover for nearly all flights to Siberia but also worthy for seightseeing tours. Moscow Kremlin as well as a trip by Metro are probably some of the highlights of every tourist sightseeing tour. In any case, when visiting Moscow you should take your time for it is not only the arcitecture which is so fascinating but also the city's rhythm, its daily life, its traffic, the peculiar contrast between poor and rich. In the city centre affordable accommodation can easily be found and it is hardly ever necessary to spend a fortune on good meals in one of the city's numerous bars and restaurants. The hotels and hostels listed below are within good reach of the Metro. An Englishman and a Corsican founded the hostel in September 2005. Today, it can accommodate up to 40 guests. 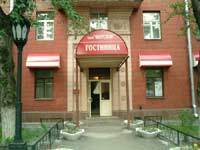 The hostel is located right at the Tsvetnoy Bulvar Metro station, only a few minutes away from Pushkinskaya Square. The rooms are clean and renovated with Ikea eiderdowns. Access to the Internet, several kitchens and bathrooms, and various affordable restaurants in the surrounding area leave nothing to be desired. 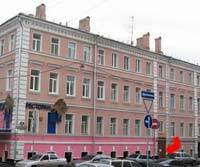 If you want stay in the city centre on the famous Tverskaya but only have a certain amount at your disposal, the Gostinica Central will be the right place for you. The entrence is a bit hidden, the personnel is friendly, the rooms are slightly time-worn but clean and with the charm of past Soviet times. Washbasins are in the rooms, en suite facilities down the hall. 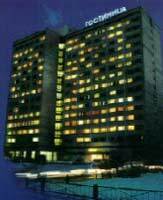 Reasonably priced hostel with comfort but inexpensive and close to the Sheremetyevo Airport. Both hotels were built in 1980 on the occasion of the Winter Olympics. They are part of a huge complex of hotels, relatively inexpensive, and in good condition.